The role of the Chief Financial Officer is changing - rapidly. There are emerging challenges in the areas of regulation, globalization, technology, risk, transformation, stakeholder management strategy, reporting, talent and capability. Fifteen senior Canadian finance leaders will participate in the Toronto event, which will draw on discussions from the ACCA Accountants for Business Global Forum, as well as insights from ACCA-IMA roundtables held in 2012 in Shanghai, New York, Moscow and Zurich. A link to the report "The Changing Role of the CFO" can be seen here: http://bit.ly/Sfm8jv. Mr. Heathcote will be available following the roundtable to speak with media. The discussion of a report on the Changing Role of the CFO. 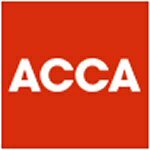 ACCA (the Association of Chartered Certified Accountants) is the global body for professional accountants. We aim to offer business-relevant, first-choice qualifications to people of application, ability and ambition around the world who seek a rewarding career in accountancy, finance and management. We support our 154,000 members and 432,000 students in 170 countries, helping them to develop successful careers in accounting and business, with the skills required by employers. We work through a network of over 80 offices and centres and more than 8,400 Approved Employers worldwide, who provide high standards of employee learning and development. Through our public interest remit, we promote appropriate regulation of accounting and conduct relevant research to ensure accountancy continues to grow in reputation and influence. ACCA Canada has approximately 2,500 members and 1,300 students in Canada. Follow ACCA Canada on Twitter @ACCACanada.